GALION — The primary focus of Tuesday’s Galion City Council meeting was the re-zoning of the Galion City Schools campus area and new design review guidelines that will affect historic homes and businesses along Harding Way. In that regard, much of the discussion was similar to a city council meeting two weeks ago. 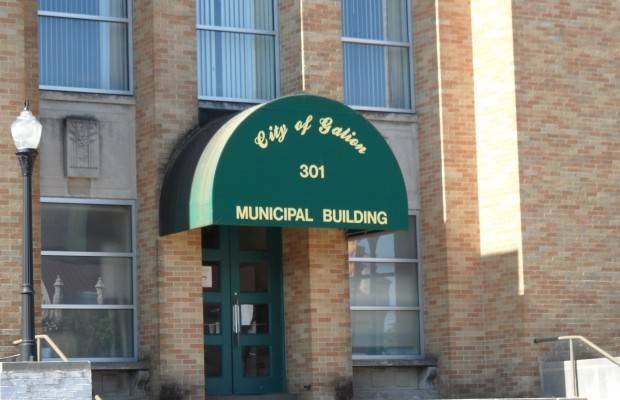 The two ordinances each received a second reading and will have to get a third-reading before they are approved by Galion City Council. Galion resident Judy Lawrence addressed council, as she did two weeks ago, about her concerns over the possible future plans being discussed by Galion City Schools. She told city council members that neither she nor her neighbors on Highland Avenue — close to the Galion City Schools campus — were approached and made aware of plans to build a new bus garage. “I urge residents to attend the next school board meeting on March 20 and make their voices heard,” Lawrence said. Council President Carl Watt responded to Lawrence’s concerns. The ordinance in question specifically addresses the rezone of Galion City Schools property to an Educational Services District. The second reading passed with unanimous 7-0 vote. The next item on the agenda was the New Design Review Guidelines. Council member Bill Comerford asked for a brief update, as he was absent from the previous council meeting due to sickness. Law Director Thomas Palmer deferred Comerford’s question to Dan Brown, a member of the Design Review Board. Council member Tom Fellner questioned Brown as to how the “pathway” for owners in the specified Design Review district will be known and followed. “As someone who has been involved as a business owner and a member of council, that is important,” Fellner said. Brown said members of the Design Review Board are hoping to have an informational packet available for current, potential and future propertiy owners who would have to abide by the new guidelines. The second reading of the ordinance relating to New Design Review Guidelines also passed by a 7-0 vote. At the conclusion of legislation, elected officials gave a brief report from their offices. Mayor Tom O’Leary hinted about some future opportunities that he’ll be able to talk more openly about in the near future.